In 2016 AMDs’ FreeSync finally feels free. 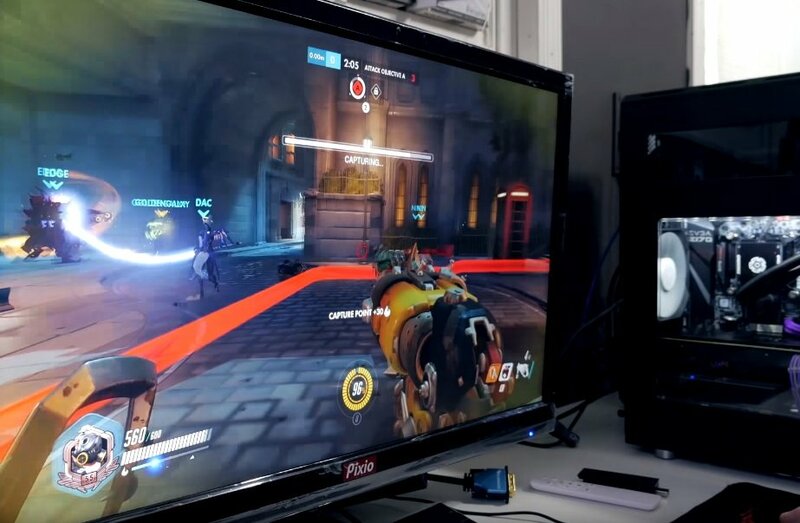 Here’s a look at a few good gaming monitors with the technology. AMD’s FreeSync is all about eliminating the tearing and input lag that gamers sometimes experience while removing the premium that’s been associated with NVIDIA’s new G-Sync monitors. This has been executed in a big way with nearly 100 of these types of monitors released into the market at this time. The popularity of these monitors has gained additional traction in 2017 with cheap and good graphics cards like the RX 480 and monitors with FreeSync that cost as little as $120. Utilizing DisplayPort Adaptive-Sync protocols, AMD FreeSync is compatible with many previous generation GPUs. Many APUs from Kabini, Kaveri, Carrizo, and newer are also compatible. NVIDIA graphics cards do not currently support AMD FreeSync. In addition, some games are not fully compatible with FreeSync’s dynamic refresh rate technology. Most games that support true full screen will function when you have a compatible GPU and monitor. 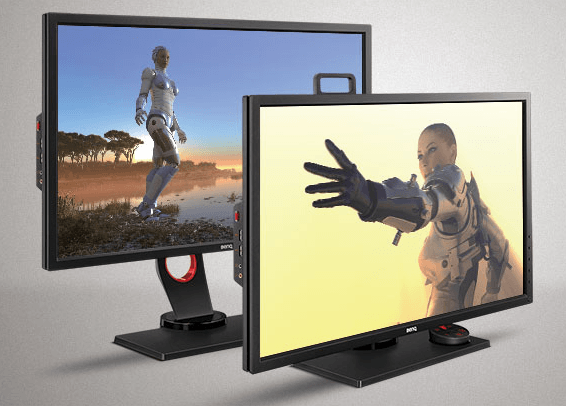 Here’s a look at a few of our favorite monitors with FreeSync so far. We’ve included a specification table below these reviews for some additional information. The Viewsonic VX2457-MHD is our budget choice because of its quality panel, black stabilization, game mode, and inexpensive price of $120 to Under $200 for the 27″. If you’re looking for something inexpensive that also has good quality, start with Viewsonic’s FreeSync Series (model numbers listed above). Available in 22″, 24″, and 27″ monitors this series is available for as low as $120 and as high as $200 for the $200. Considering a basic 27″ LED monitor would have cost at least $250 without any extras a couple years ago, it’s great to see so much value going back in the hand of consumers. Want to get AMD FreeSync on the cheap? The Viewsonic monitor above along with an RX 460 can get you FreeSync for under $250. For more moderate budgets I’d recommend the 8GB RX 480 and the 24″ monitor above for just $400. These monitors include FreeSync, of course, but there’s also a few features for these monitors that put them above the rest. Like other more expensive monitors out there, these have black stabilization. This helps you in any dark scene or situation in a game. 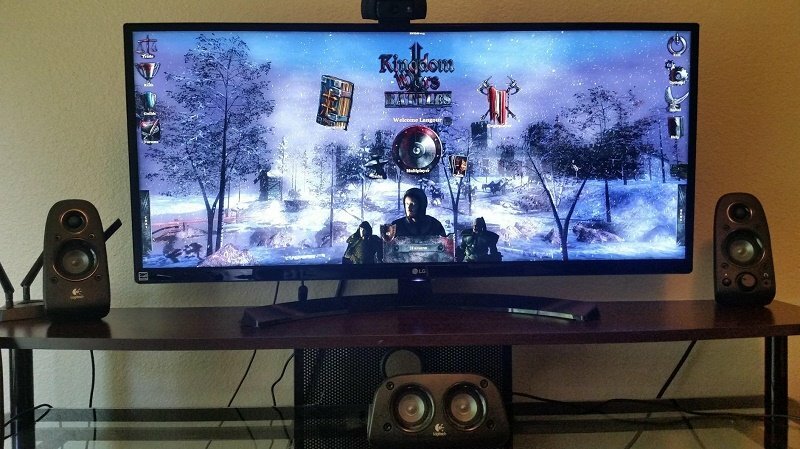 It’s great to see monitor manufacturers catch on with gamers expectations. With virtually 0 input lag and a 2ms response time, you’ll experience blue and lag-free gaming at its best. It certainly won’t make a bad player good, but it does make a difference. Overall this is a great entry-level FreeSync option for those who just want a budget option. The viewing angles and brilliance of the screen don’t match that of some of the IPS options below, but it’s still really good. 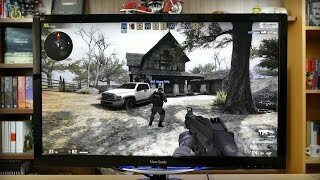 Gaming on an ultrawide FreeSync monitor is an unbelievable experience. As these two monitors are very similar we’ll review them together. First, these monitors aren’t for everyone as not everyone can make use of or power the ultrawide screen or even wants that option. That being said the IPS panel with 99%SRGB, FreeSync capability, and incredible color should be ideal for some. For design, the thin bezel along with clear plastic stand really allows you to see more of the monitor without as much distraction. Pros: The price tag is good for what it is. IPS, 21:9 ultrawide 2560x1080p monitor with FreeSync, and thin bezel. The screen can be adjusted with the included joystick and has a game mode for increased responsiveness. 2xHDMI and 1xDisplayPort. 6 or 8-bit color mode. Adjustable pixel response times. Dynamic Action sync reduces display lag. Very good motion blur performance. Cons: The LG UM 68-P series offers only a 75Hz refresh rate and 1080p. Limited Range of FPS where FreeSync is active or 40-75Hz. Not Height adjustable as only tilt and angle options are available. Glossy plastic on back. No USB hub. No DisplayPort cable included in the box which is needed for FreeSync. One of my favorite new FreeSync monitors is the Pixio PX277. This model represents what you get when you combine FreeSync with a stellar IPS panel. We recently reviewed the PX277 in its entirety and were more than impressed with Pixio’s $390 offering. 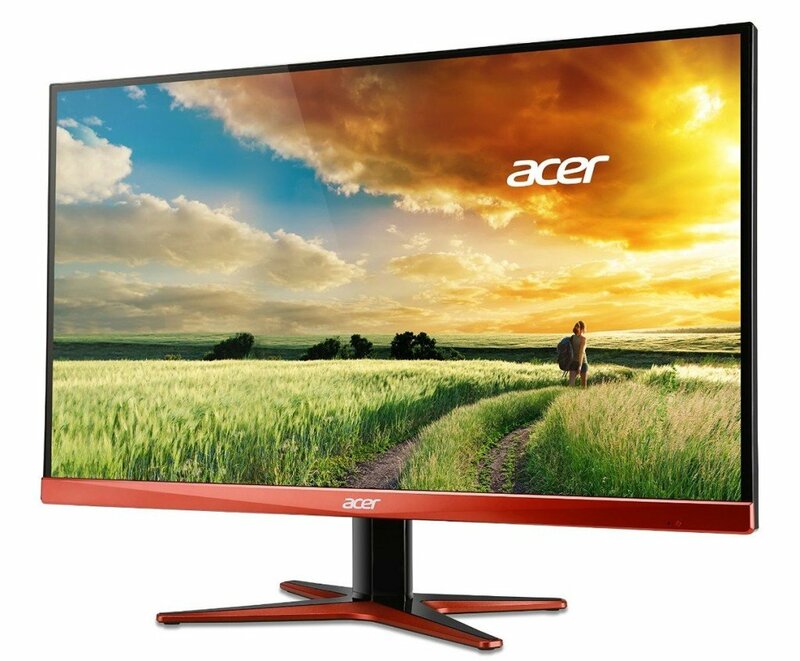 The PX277 uses the same IPS panel as the Acer XB271HU and the Asus PG279Q. Both of these have G-Sync and are significantly more expensive. One important thing to point out is that FreeSync runs in a range of 55Hz to 144Hz on this monitor. When running below 55 frames it has low framerate compensation support with V-Sync. We noticed no stuttering when running more intensive games below the range. Overall, you get a whole lot of monitor with the PX277. The panel is great, the FreeSync greatly improves the gaming experience, and the price is good as well. If there’s one thing we’d change it’d be the stand which had a slight wobble. For this reason, I recommend using the VESA mounting or an aftermakret stand. If you’re looking for the FreeSync response to the Acer XB270HU, in my opinion, this is it. For ergonomics, it’s easy to tilt, swivel, rotate the display, and adjust it’s height. As an IPS display the 178-degree viewing angles and colors look great on the MG279Q with 100% sRGB color gamut. While most IPS displays suffer from a lackluster response time, the MG279Q bears a respectable 4ms gtg response time. For me under 5ms is really not noticeable. Perhaps even more importantly the screen has little to no input lag. While near the back of my list in terms of gaming monitor manufacturers in 2012, Acer has stepped up its game since that time and has released some impressive options. For G-Sync, the Acer XB270HU is my favorite option right now. As far as aesthetics are concerned, the Acer XG270HU might just be my personal favorite FreeSync monitor right now. The thin bezel is not imposing like it is on the BenQ XL2730Z and the red accenting looks nice as well. Pros: On the plus side you get a 1440p monitor with minimal input lag, a 1ms response time, and FreeSync. It also has DVI, HDMI, VGA, Display Port, and your basic 3.5 audio connector. It also has a wider FreeSync range than some other monitors at 40-144Hz. Cons: Many would prefer an IPS panel at this price level. Limited adjustability. Not that sturdy. The red ring is a plus to some and annoying to others. Loaded with features and color accurate, BenQ’s offering into the FreeSync space is a good one. I’ve been a fan of BenQ for a while now. Their ability to release monitors with on-the-fly gaming adjustment as well as their emphasis on eliminating monitor lag have given them a good amount of growth in the last few years. Still, in terms of G-Sync the company had a successful albeit underrated release in the XL2420G. If you’re shooting for a high-end monitor, you need to shoot for the top in this industry, and for me, the XL2420G didn’t do that. The BenQ XL2730Z is a 27″ 1440p monitor with 144Hz refresh rate and a true 8-bit TN panel. For responsiveness and color you won’t find better on a TN panel monitor. The monitor itself is also very fast. Pros: Great color accuracy for a TN panel. BenQ exclusive key features like Black Equalizer 2.0. D-Sub, DVI, HDMIx2, and DisplayPort connectors. Cons: Bezel is a little pronounced for my tastes. WQHD viewing angles not quite as good as IPS. Better FreeSync range than other monitors from 40-144Hz. Thinking of getting a FreeSync monitor? Here’s a look at the specifications of the monitors featured on this page as well as a couple more we’d recommend. 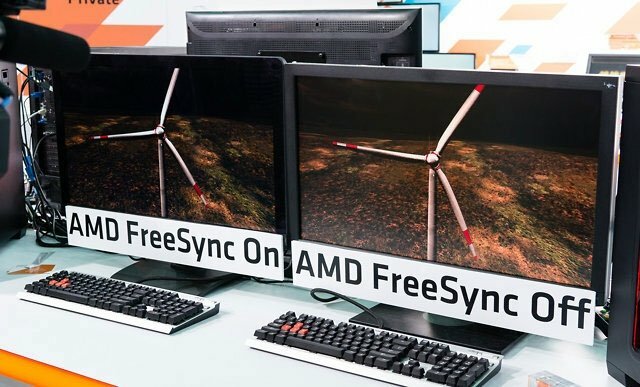 FreeSync Vs. G-Sync - Which one will you use? G-Sync - no ranges to worry about. FreeSync, it's cheaper and does the same thing. I'd still rather put that money elsewhere.